The Evaluation of Techniques for Uncertainty Representation Working Group (ETURWG) is an official activity of the International Society of Information Fusion (ISIF) aimed at providing an evaluation framework for assessing, managing, and reducing uncertainty in Information Fusion systems. A key component of this effort is the development of the Uncertainty Representation and Reasoning Evaluation Framework Ontology (URREF ontology), and this website provides all the details of its development. 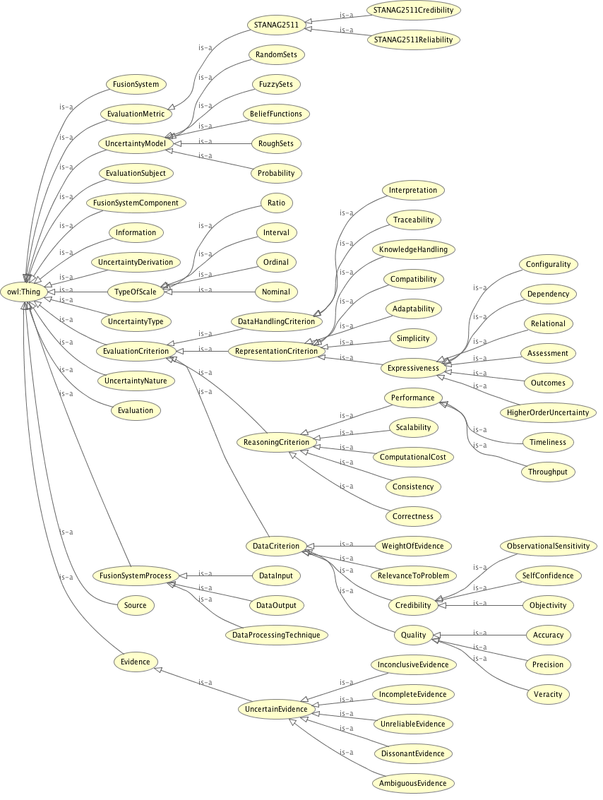 The URREF ontology is an ongoing work by the ETURWG, and the figure below provides a graphical view of its current state.